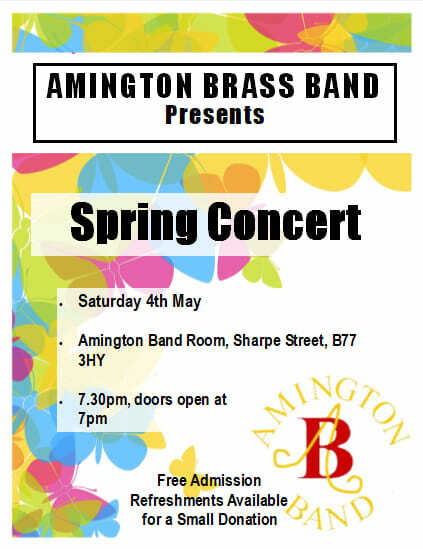 For almost a hundred years Amington band has been entertaining the people of Tamworth and the surrounding areas, rehearsing twice a week at its home at The Band Room, Sharpe street, Amington. Now recognised as Tamworth's brass band, the band continues to go from strength to strength and is currently ranked in the third section. For further information please explore the pages of this website.